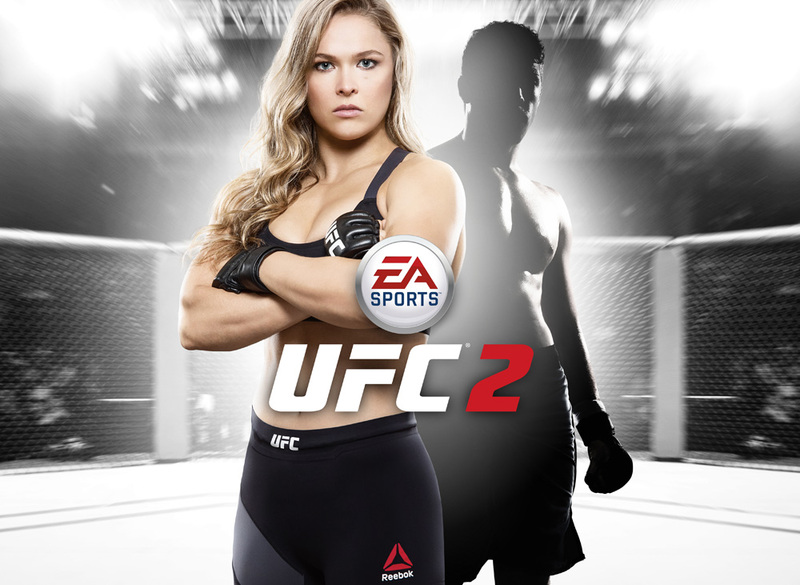 REDWOOD CITY, Calif. – November 13, 2015 – Electronic Arts Inc. (NASDAQ: EA) today announced EA SPORTS™ UFC® 2 will launch this Spring, featuring UFC® bantamweight champion “Rowdy” Ronda Rousey as the game’s global lead cover athlete. Rousey, the undefeated UFC champion (12-0), is the most dominant and recognized fighter in the world. Hear what Rousey thinks about the cover and get a first look of the champ in the virtual Octagon® here. EA SPORTS UFC 2 takes the franchise’s stunning character likeness and animation to another level, adds an all-new Knockout Physics System and authentic gameplay features, and introduces the biggest ever roster of real-world fighters in a MMA game who will step back into the Octagon on Xbox One and PlayStation®4. Rousey will defend her title tomorrow in the Octagon at UFC® 193: ROUSEY vs. HOLM at Etihad Stadium, to mark the first UFC event in Melbourne, Australia. This event will also make UFC history as the first time two women’s world title bouts will headline a PPV event. EA SPORTS UFC 2 is developed in Burnaby, British Columbia by EA Canada. More information is available on the EA SPORTS UFC website, and in-depth feature details will be announced in the months leading up to launch. Fans should keep an eye on the website, as well as the EA SPORTS UFC Facebook and Twitter pages to make sure they’re always up-to-date on the latest and greatest news. EA SPORTS™ is one of the leading sports entertainment brands in the world, with top-selling videogame franchises, award-winning interactive technology, fan programs and cross-platform digital experiences. EA SPORTS creates connected experiences that ignite the emotion of sports through videogames, including Madden NFL football, EA SPORTS™ FIFA, NHL® hockey, NBA LIVE basketball, Rory McIlroy PGA TOUR® golf, SSX™ and EA SPORTS UFC®.